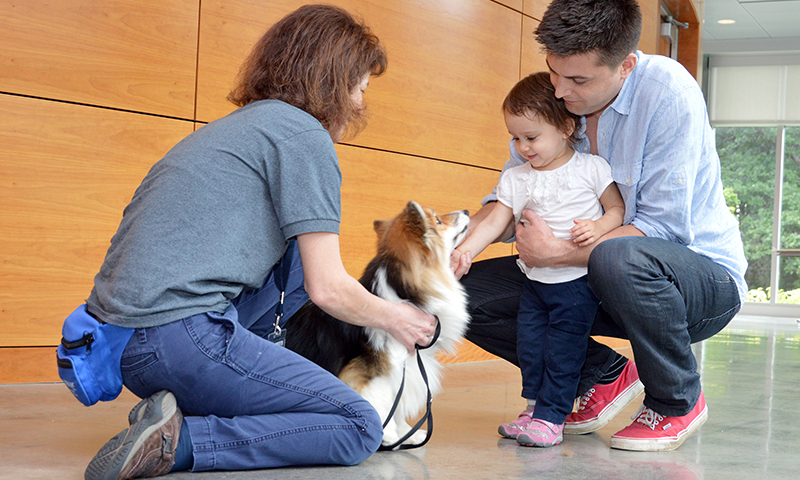 The Center for Animals and Public Policy (CAPP) promotes research, education, service, and constructive dialogue in its efforts to enhance human-animal relationships and advance the well-being of animals and people. 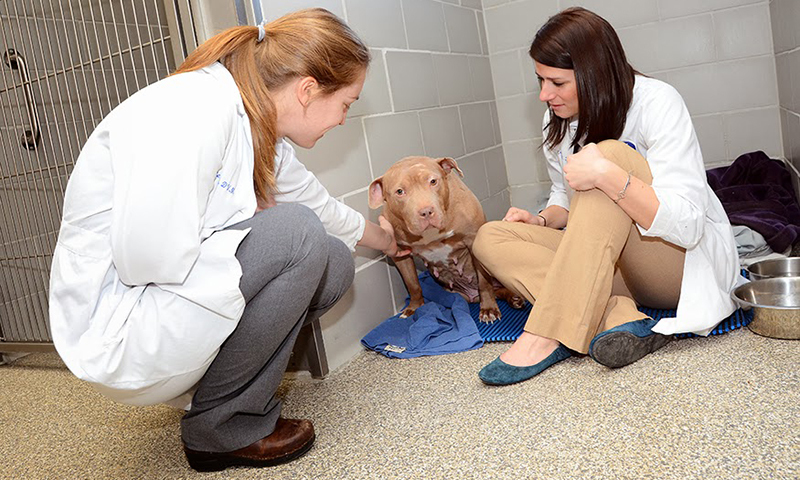 The Shelter Medicine Program was founded in 2006 with the mission of improving quality of life for shelter animals through the education of Cummings School faculty and staff, as well as members of the local sheltering community. From seeing-eye dogs to therapeutic horseback riding to therapy dogs that help children struggling with reading, the healing power of animals enriches our lives in many ways. 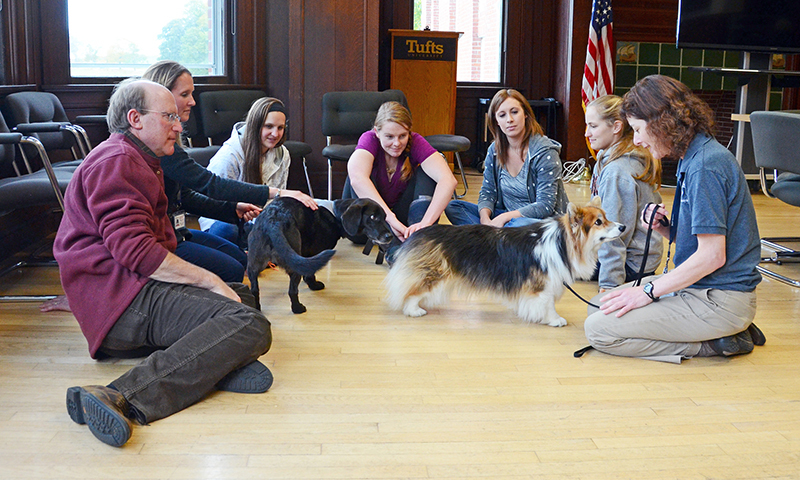 Tufts Paws for People is a non-profit organization in Central Massachusetts associated with the Cummings School of Veterinary Medicine at Tufts University. 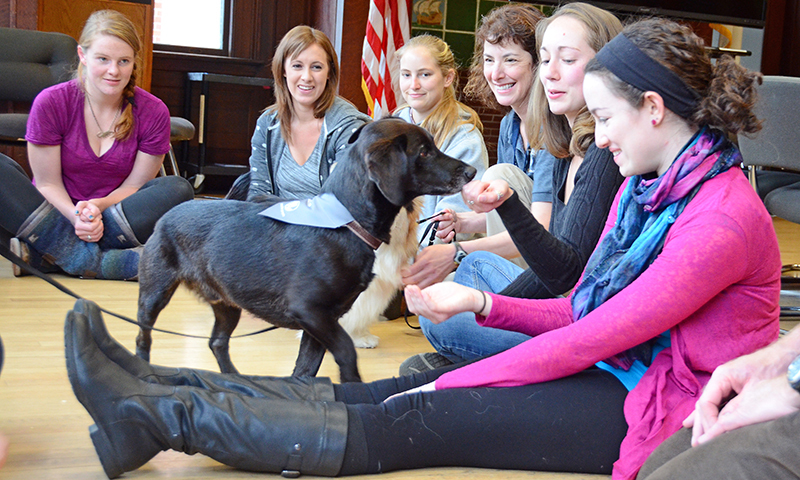 Our mission is to lovingly provide people in need with therapeutic animal visitation.